On the north side of Stonebridge Road at its junction with College Road lies Huggens College, built in 1847 by John Huggens as almshouses, with its own chapel and croquet lawn. The architect was Mr. W. Chadwick. 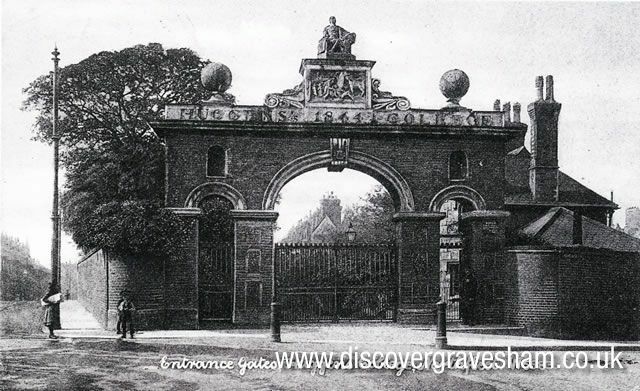 The original college was demolished in 1968 and new bungalows and a chapel were built on part of the site, the remainder being sold to the Northfleet Urban District Council, who built blocks of flats known as Wallis Park. The chaplain's house, which is all that survives of the former college, was originally a farmhouse. "A Historical Walk Through Gravesend And Northfleet" published by Gravesend Historical Society. See the publications for more information on this book and more.